The future of the security industry is bright! Businesses everywhere are always on high alert these days. If it isn’t a company-wide hack, it’s a theft or a mass shooting. 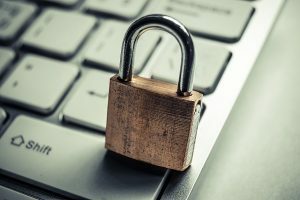 To keep your business in the know, here are a few significant topics within the security industry that you should research. It’ll definitely be worth it! From hacking to phishing, there are serious issues associated with protecting essential documents online and on network servers. While some cybersecurity attacks are significantly worse than others, any breach of your cybersecurity is something that should always be taken seriously. Most small businesses would benefit from a firewall protection system. However, several small companies lack the information about these programs to implement them correctly. Usually, this is because small businesses quite often need a robust and diverse IT department. As a result, it might behoove small companies to begin doing their own research about ways to better protect vital documents in their business. The reality these days centers around the idea that criminals are smarter than they once were. These crooks are willing to do virtually anything to get the critical information that they want. Therefore, it is always best to have a hidden weapons detection system in place to let these criminals know that they are now under some serious scrutiny. Systems like Patriot1 have been used in a variety of commercial settings because they can be easily hidden in walls or placed virtually anywhere. Depending on your needs, there are a variety of different systems available to cater to your specific needs. The need for technology has changed. Just consider how far we have come with the invention of the Roomba. What used to be a simple household chore is now something that we have technology handle for us. Engineers continue to reinvent the world of robotics. But how exactly does this impact security? About ten (10) years ago, a firm in Hong Kong developed an iRobot-type device that would be able to patrol the outside of the facility. This security robot was criticized for being bulky and awkward to use. However, that hasn’t stopped engineers from trying to create similar versions that are easier to use and more seamless in design. This entry was posted on Wednesday, November 1st, 2017 at 2:22 pm. Both comments and pings are currently closed.